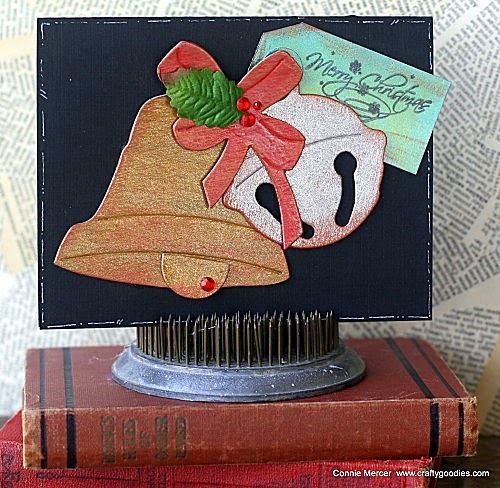 crafty goodies: Christmas cards with Hero Arts and Viva Decor. I have more Hero Arts Christmas cards to share with you. They go with yesterday's post. 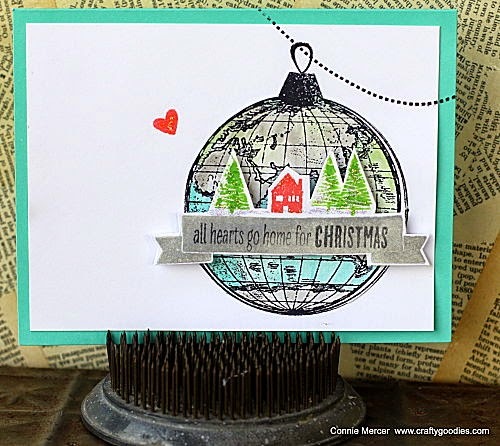 This one is using the world stamp and daubers by Hero Arts. 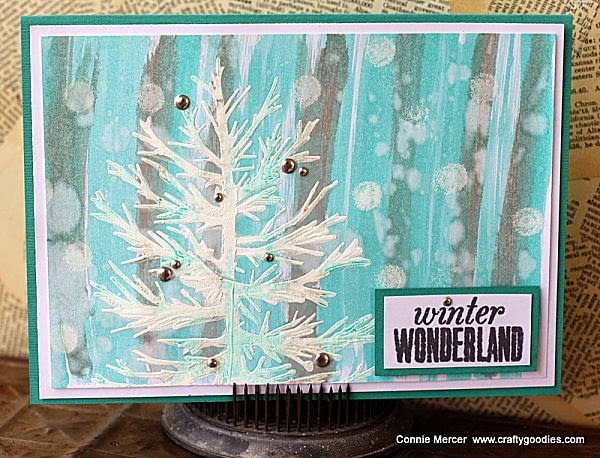 This one is using the tree stencil by Hero Arts and the white paint dauber. 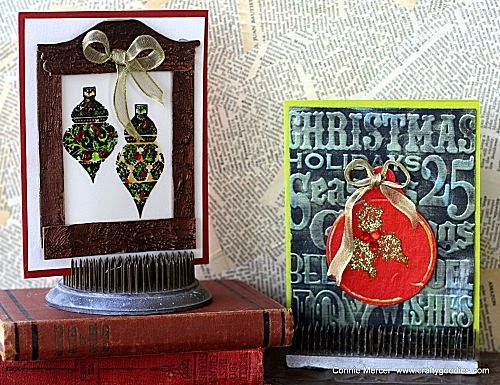 These cards are a class I took with Viva Decor using their paints and stamps. These are fabulous Connie! If I had to pick a fave I'd say the second one - or maybe the first! Those cards are flat out awesome. I can't choose. LOL. You make cards look easy. Wow wow wow!!! These are all gorgeous! I loveeeeeeeeeee that globe on the first one!!!! I admire you for all the cards. Cards make me crazy. Can't seem to make one without spending hours. LOL I especially like the background as well as the tree stencil. Awesome creativity. Hi Connie! I love your cards, especially the ornament one! Was that made with a stamp? If so, which one, because I looked all through the sight and couldn't find it. Thanks for sharing! Blessings from Bama! Wow Connie these are wonderful. I love that world stamp and design. I just love the "Winter Wonderland" card. wow Connie these are so fabulous.. really love that first one.. clever clever..